Movie adaptation of anime and manga have a hit-or-miss business of the recent years. That is why the skepticism and anxiety does not got when I hear some of my favorites will have to go through this process. What if it will become another unsavory rip-off? But of course, one is still hoping that it will turn out very good. 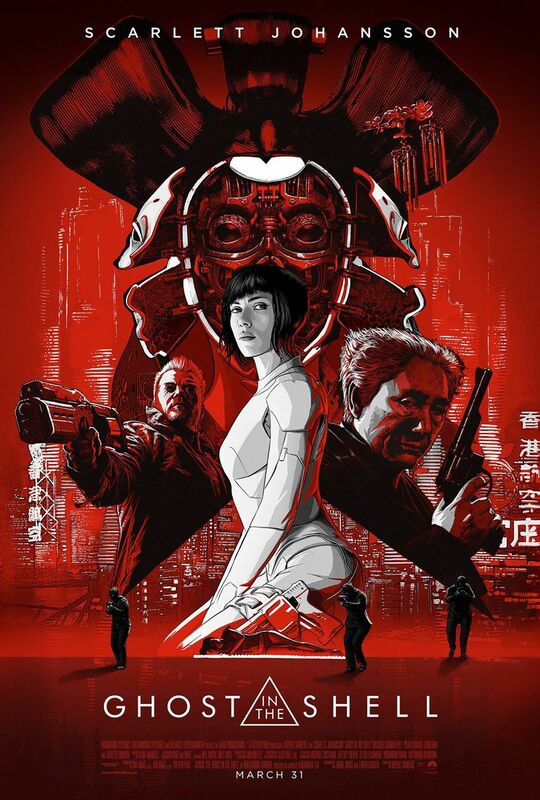 One such project is the Hollywood adaptation of Ghost in the Shell. This Rupert Sanders-directed movie stars Scarlett Johansson, Pilou Asbaek, Takeshi Kitano, Juliette Binoche, Michael Pitt. A new trailer has just been released and somehow it still left me undecided. Checkout the new full -length trailer of Ghost in the Shell. "They created me, but they cannot control me." Based on the internationally-acclaimed sci-fi property, "Ghost in the Shell" follows the Major, a special ops, one-of-a-kind human-cyborg hybrid, who leads the elite task force Section 9. Devoted to stopping the most dangerous criminals and extremists, Section 9 is faced with an enemy whose singular goal is to wipe out Hanka Robotic's advancements in cyber technology. Ghost in the Shell opens in theaters on March 31, 2017.